Automatic pallet stacking machine was delivered to South Africa from ThoYu factory this week. On the delivery site, the delivery workers stick to their posts and finished every delivery procedure orderly and carefully. The containers was delivered to South Africa. Our South African customer ordered pallet stacking machine again for his factory. 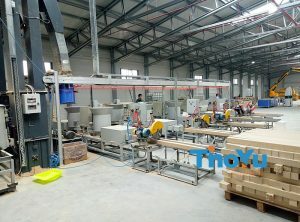 And he bought pallet block production line from ThoYu last year. Besides, we helped them with the installation and commissioning of the whole block production line. Meantime, we also provided the training for their workers. Therefore, they are very satisfied with our block machines and service. 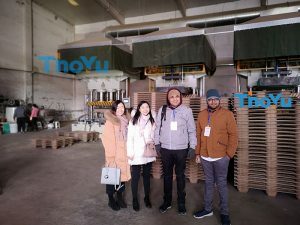 Thoyu has been specializing in pallet block processing project design, manufacture and research for about 15 years. And we have our own professional technicians team and installation team. What’s more, we can help you realize the one-stop purchasing service from design, manufacture to installation. Our wood pallet machines have been exported to Iran, the Philippine, Mexico, Peru, Poland, France and so on. 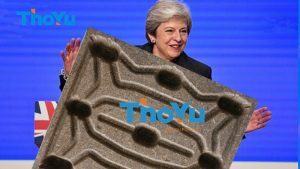 So it is becoming more and more popular in the world market for its high quality and low investment. Pallet stacking machine can work automatically, just one start. So it can low production cost, and the price of pallet stacker is cheap. 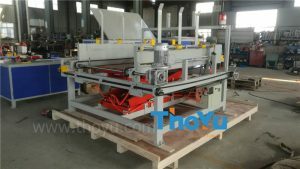 At the same time, you can reduce the labor and the labor cost. All the process is automatic and there is safe protection system. Hence, pallet stacker can reduce production accident, and protect the workers to avoid hurt. Stacking all the pallets can save space, so that you can fully utilize the upper space of the warehouse. Pallet stacker is the simple machine, and easy to install and maintain. 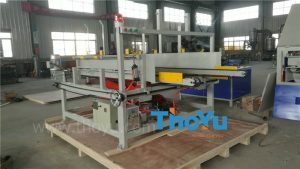 If you are interested in our pallet stacking machine, please leave us a massage.